IT’S SO ULGY, YOU’LL FALL IN LOVE! 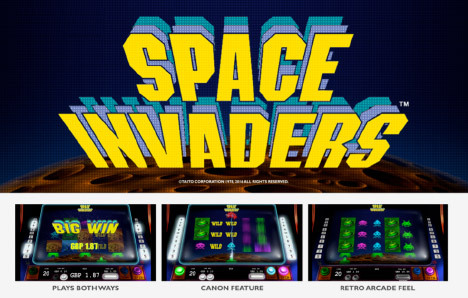 Fly Casino brings you Space Invaders! By far and away, it’s the most ugly slot game ever released at Fly casino. Yet, it’s so 1980’s ugly that you’ll fall strangely in love with it! Space Invaders playing at Fly Casino is a new 10-line that pay both left to right and right to left. You can help to defend earth from those retro aliens as you encounter their spaceships, flying saucers, and monsters. In addition to these retro game symbols, there are a number of aliens covering the reels. The Wild feature takes place when the cannon below the reels lines up under reel 2 or reel 4. The cannon shoots at the aliens and destroys the smaller value symbols which are then turned into wilds. Wins that are created with the wilds will double the size of the wins. The UFO is seen at the top of the reels. If the UFO is in line with the cannon when the reels stop spinning, the cannon will shoot at the UFO. This triggers the UFO Wild Feature. You will be given a re-spin that is played with an additional nine wilds. It’s 1980’s ugly, but really fun! Fly Casino is pleased to release Goddess of Wisdom! This stunning new game is the latest addition to our Age of the Gods series of slots. 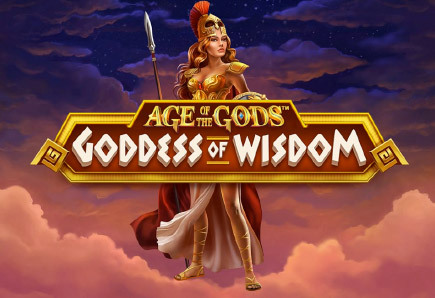 This 20-line slot game is based on Athena, who is the Goddess of Wisdom (and War). The game’s wild symbol is Athena and she appears on the middle reel. She also substitutes for all symbols except the scatter. The scatter is the owl symbol. Three or more anywhere on the reels activating the Battle Game feature. Then you have the choice of 3 free spins modes. As with all other Age of the Gods games, there are 4 progressive jackpots that game be won. You can win any of the Power, Extra Power, Super Power and Ultimate Power jackpots. $40 Gets $60 X 2! From 00:00GMT until 23:59 GMT, all members are invited to receive a £/€/$60.00 bonus on your deposits £/€/$40 or more made. Claim it 2X! $300.00 Cyber Monday! From 00:00GMT until 23:59 GMT, all members are invited to receive a 75% bonus up to 300.00 on your deposits of $/£/€10 or more. GET $166.00 TODAY! From 00:00GMT until 23:59 GMT, all members are invited to receive a 166% bonus up to 166.00 on your deposits of $/£/€100 or more.